Late-Holocene climatic conditions in the upper Great Lakes region have changed sufficiently to produce significant changes in vegetation and fire regimes. The objective of this study was to determine how the vegetation mosaic and fire regimes on an oak (Quercus spp. )- and pine (Pinus spp. )-dominated sand plain in northwestern Wisconsin responded to climatic changes of the past 1,200 years. We used pollen and charcoal records from a network of sites to investigate the range of natural variability of vegetation on a 1,500-km2 landscape on the southern part of the sand plain. A major vegetation shift from jack pine (Pinus banksiana) and red pine (P. resinosa) to increased abundance of white pine (P. strobus) occurred between 700 and 600 calendar years before present (cal yr BP), apparently corresponding to more mesic conditions regionally. A decrease in charcoal accumulation rate also occurred at most sites but was not synchronous with the vegetation change. At some sites there were further changes in vegetation and fire regimes occurring ∼500–300 cal yr BP, but these changes were not as strong or unidirectional as those that occurred 700–600 cal yr BP. 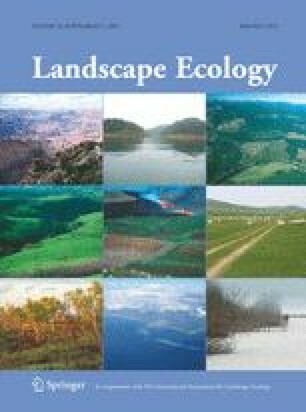 Our results suggest that both the composition and the distribution of vegetation of the southern part of the sand plain have been sensitive to relatively small climatic changes, and that the vegetation at the time of European settlement was a transitory phenomenon, rather than a long-term stable condition. We especially thank David Mladenoff and Volker Radeloff for many helpful discussions and for providing information on the sand plain. Sissel Schroeder and Sarah McGuire Bogen provided helpful reviews of correlations with cultural history. Andrew Bronson, Sabrina Curran, Stesha Dunker, Matthew Kinney, Stephen Merten, Crystal Sutheimer, and T.J. Webb counted charcoal fragments. Thanks to the landowners who gave us permission to enter their land. Steve Peterson and Spooner helped with coring. Amy Myrbo and Anders Noren provided lab and logistical assistance, and Sabrina Curran, Rob Lusteck and Matt Hunstiger helped with lab work. Ted Sickley helped with PLS data management. Funding was provided by NSF grants DEB-0321589 to RC, DEB-0321563 to SCH, and DEB-0320575 to EAL. Additional funding was provided by a grant from the University of Wisconsin Graduate School to SCH, a grant from the Center for Global and Regional Environmental Research, University of Iowa, to EAL, and supplemental funding for undergraduate research from Luther College.